Specialty retailers ranging from 2 - 4,000+ locations with unlimited users. Pros: The best parts of this software are perhaps not features of the software at all, but rather the support you receive from the company. 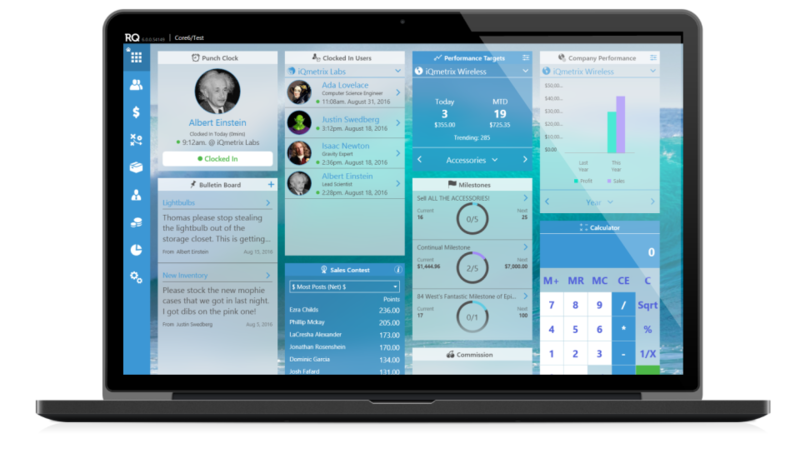 In email, phone, and online message boards, iQMetrix truly responds to its users and community in a way that goes beyond any expectations. They also hold training events and summits for their community and users to network and discover, which have been instrumental in propelling our knowledge and usage of the software. The software itself is generally intuitive and easy to use. Its layout makes it very easy for anyone who is new to the program to pick up the methods and perform sales and other basic tasks with little to no training. The deeper you dig into the program, the more you realize just how comprehensive the power to control everything in the company can be through this single source. The obvious management portions are there for inventory, operations, and finance, but the real gem is the suite of reporting that is baked in to the system. While there is very little you are unable to find using the baked-in reporting, any further reporting can be augmented by exporting these reports to Excel and using your own analytics teams to dive deeper into the data. 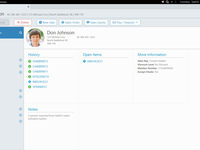 For advanced users, there is a business intelligence module that allows intermediate and experienced database users complete freedom to query their database. This provides the ultimate flexibility in building custom reports and allows for the automation and scheduling of reports. The automated reports can setup to email individuals or groups in a variety of formats. The BI module is my favorite part of the software. Cons: The main gripes I have with the software stem from the clearly underdeveloped sections. While the vast majority of the software works well, there are often very small details that could be implemented that would save vast amounts of time and energy. That being said, the competitors we've used in the past simply do not hold up well, even to the underdeveloped tools in RQ. The vast majority of the software is easy to use and intuitive. Recommendations to other buyers: Be sure to give the program a proper chance, and if you run into snags (you will), be sure you get matched up with their outstanding support staff or reach out to an experienced user. You'll find there is very little the program is unable to do. 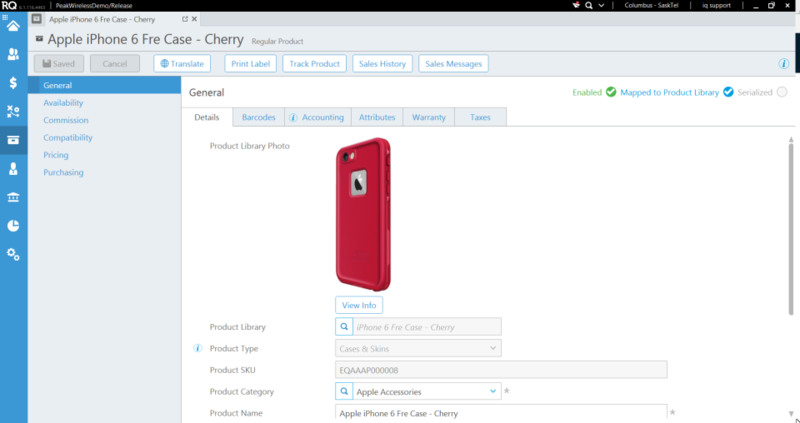 Pros: There are a number of really great features with RQ Retail Management. There are a lot of reports that a user can generate to extrapolate valuable insights about employee/location performance and trends, and the software solution as a whole is easy to use. My experiences with RQ's technical support team have been consistently excellent. Cons: For whatever reason, the memory management in RQ Retail Management is unbelievably poor. I would avoid running this software on a machine with less than 8GB of memory if you intend to do anything else on the computer other than run RQ software. For a program that is essentially just a front-end to a database hosted by RQ, the memory leak issues are somewhat surprising. Pros: RQ does what we need to for our cellular sales company. It houses all of our inventory, sales, goals, commissions, employee reporting, and more. Cons: It does not preserve historical data or allow you to future date changes such as reconciliation, chargebacks to commissions, etc. The coupons do not have flexibility in how you can offer a promo and they force return when they shouldn't. Overall: For the most part things are very good but there are some features that make things harder than they should be, and it seems with every software update we get a new glitch. 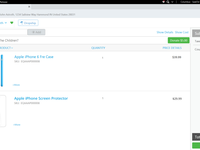 Pros: RQ4 on its face is a great POS tool with the one positive that it seemed to provide more detailed reports than most other POS software available. Cons: RQ4 was constantly doing updates which caused a lot of the functionality of the POS sofware to actually work. The updates created more bugs than what they were supposedly being created to fix. On top of the fact that these "updates" took away useful features most of the time because software writers were listening to "customer advice" and wrote in changes that had illogical practicality for actual end-users. Lastly, my recommendation is to not use this company--go somewhere else. We were a customer for over 7 years and when we had to close our doors, we were told that RQ4's (iQmetrix) contract involved a clause in which they could auto-renew every year--which sounds fine until you learn about the rest of the contract clause...in that if your contract is set for auto-renewal on Dec. 31st, AND you don't cancel within 60 days of your auto-renewal date, say you cancel on Nov. 1st in this scenario, RQ4 is obligating you to pay an entire year of services for the following year! So whatever you do, don't use this company! They operate on criminal contract practices. Decent software for Cellphone sales. Pros: RQ excels at taking all the different components in processing mobile device transactions and putting them into one place. Helps save alotta time and get your customer moving. Cons: The updating process could be sped up a little. Also sometimes it crashes mid sale and you have to start from scratch, but not before waiting a lifetime for it to load back up and get logged back in. Pros: Very easy for front end users for the most part. The flow is very easy to follow and allows the user to complete a transaction with ease. It also allows users to report on almost anything. Pros: That we can manage everything we do in store from invoices to CRM, it can all be logged, saved, and scheduled all in one place. Overall: Everything you would need from point-of-sale software and more! Cons: Its not the lease expensive. Because they are probably the best, price wise they are proud of their product. We really can't do without. Pros: Searching for inventory across multiple stores is so simple. I love having a dashboard with every detail that matters to me on my main screen. Cons: The software tends to lag or time out to often. This may be a problem with my internet, however, other software works fine. Overall: Very easy to use. Pros: Easy of use. 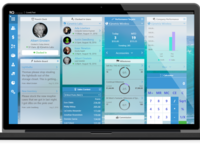 Navigation, reports, widgets, cash management functions. Everything about rq is just right for retail. Cons: When they do have a software update it resets all my favorites, my favorite reports and homepage layout. Only thing. 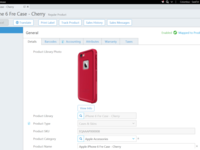 Overall: Best retail software out there hands down! Pros: RQ allows us to run our business so much more efficiently. We have great visibility to inventory levels and needs. We are able to analyze our sales mix and focus on underselling categories. Cons: While the reports are great, there is inconsistencies in the column headers and calculations. For a new user, it is difficult to know which numbers to trust. Overall: Better control of inventory. Better understanding of sales mix. Integrated vendors for marketing. Pros: I like that the software is fairly straightforward and way to use, even for every level of PC experience. Cons: I dislike that there is not a fully functioning mobile version for running reports when away from your location. Pros: I ;like that RQ can be set up and structured to give a full outline of what my schedule, sales, goals, and commissions look like. Overall: It is our point of sale system, never fails on us and we use it all day everyday. Pros: It's less glitch than before. It loads up relatively quick. Cons: The reports section takes about 1 minute to load. Having the new HUB reporting isn't that helpful either since it involves more clicking around. And it doesn't let me save the selections as default. Overall: It's one of a kind. Cons: Complicated back end set up of Vendor Rebate SKU's and commission tables - setting up of these compensation tables is complicated. Cons: SOME OF THE LOADING FOR REPORTS AND ITEM UPDATES TAKES WAY TOO LONG. Recommendations to other buyers: MAKE SURE YOUR CURRENT WORK FLOW WILL WORK WELL WITH THIS SOFTWARE. Always has issues that interfere with making sales. Pros: It is a POS system. It's a nice blue color. Customer service representatives are always very friendly and helpful. Cons: Takes too many steps to complete a sale. The program is always having problems functioning correctly which means I'm on the phone with customer service every week trying to fix these issues. It has interfered with the business and has prevented me from making sales. 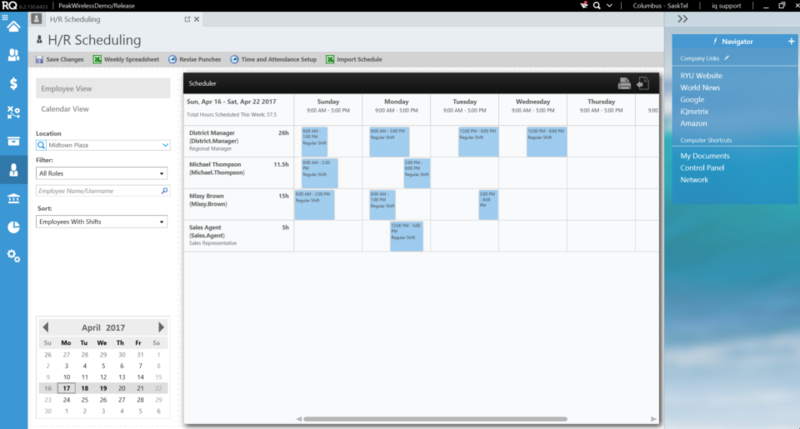 Pros: I love the fact that I have my Scheduling, Payroll, Inventory, and Ordering systems all in one. There are only a couple of additional programs needed to run my store! 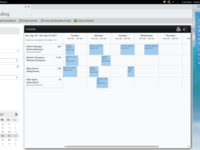 Cons: There is no way to integrate the scheduling calendar with any other calendar (e.g., Google Calendar, Exchange, etc.). The software is updated continuously, which is really nice, and sometimes it's quite the surprise when you have a newer employee opening and their routine is thrown out of whack by a button moving. Recommendations to other buyers: The system is very functional, and for all of the things that it does, it does them more than adequately. Comments: I started using this software about 8 months ago and now i frel that thus software has made my life easy. I can look for anything i want at my fingertips as being a manager. 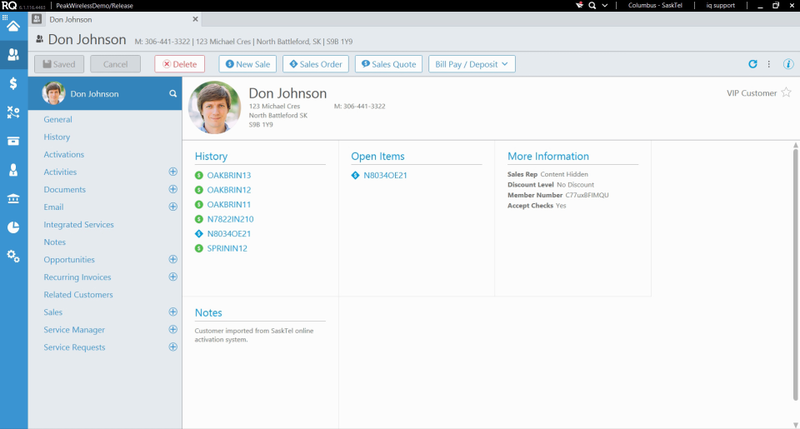 Making bills, inventory and all other working has become very easy. Recommendations to other buyers: If you are thinking to buy this product please go ahead and i assure you will find this software very handy. Pros: I really like the ease of use and how quickly my team could get onboard this product, I love the functionality! Cons: System runs slow sometimes. You need a fast internet connection and high powered machines to get things done efficiently. Pros: The service and support are great. The functionality works very well for our business, and it is a feature-rich product. Cons: At this point, very little. There are a few minor things but nothing worth mentioning. Syncing the calendars with a mobile device, for instance, would be nice, but overall, the calendar function is good. Recommendations to other buyers: Consider a dedicated staff member for this program. It is amazing in what it can do, but someone should be focused on the program. Comments: This Program offers a large variety of things to do that makes our jobs simple.The POS is very easy to use great for buisness would recommend it. Pros: They have very helpful support staff. The settings are intuitive. The vendor works very hard to make sure you have a great experience. The product/customer support is great. It allows for a review of all sales and has great statistics to make it easy to track. Cons: It's very RAM heavy. If you have an old PC, it'll hog it all. Recommendations to other buyers: It's very easy to use and very customizable. There's a lot to like. Verizon Wireless sales representative who uses RQ4 for all invoicing. Pros: It's very straightforward and easy to navigate the system. They are usually very prompt with support on the backend. Cons: The program does have a tendency to freeze on occasion, although that could have more to do with the hardware I use. Recommendations to other buyers: If you give the program a chance, I don't think you will have any problem finding that it can meet a wide variety of needs. Comments: RQ Retail works perfectly with any company. All your business needs are satisfied, you won't have to worry about anything. A great experience year over year! Pros: The Vendor is quick to fix any issues, and the product is really in-depth and keeps the business running smoothly in multiple locations. Cons: More training would be the only thing that I would request. Recommendations to other buyers: If you are running a wireless business, there is no other choice, in my opinion. I have been with the vendor for over seven years, and it only gets better! Pros: RQ has a very wide scope of reporting options. They are always very prompt when going through support. Cons: Some of the reports could be a little more customizable. Having the option to include different fields in the pre-built reports would be nice. Recommendations to other buyers: Take the time to learn as much of the system as you can so you can fully take advantage of it. Comments: This software is amazing. It is easy to use and its fast. I love it and recommend it for anyone. Comments: This program is great. Functions very well and is easy to adapt to. Pros: It encompasses several different things that need to be done. It's like a one-stop shop. Cons: The program doesn't work on my Apple products. For what I use it for, I need to go to another computer. Recommendations to other buyers: Understand the product and what it does/is meant for so that you don't end up frustrated if you don't get the results you want. I use RQ daily to perform all my tasks at work. Pros: They seem to get any issues fixed promptly. They are always ready to help when you call with an issue. Cons: It can be slow at times. It takes up a lot of internet, so I understand that, too, but sometimes, it is painfully slow. Recommendations to other buyers: There are lots of handy reports that can make everyday tasks much easier. Pros: It's easy to organize reports, employees, and other information. It's also easy to use and understand. Cons: I would like to see more options for widgets on the home screen, but that's about it. Recommendations to other buyers: I would like an easier process to delete followups of having a period where they are automatically deleted. Pros: I like the ease of use. Navigating through the tabs is simple. Cons: The product seems to crash a lot. I am in a heavy traffic store, and that poses a problem. I have also noticed some updates don't always help the cause. Recommendations to other buyers: I don't have any recommendations for others evaluating the software. Pros: I like the people. RQ's staff and support team genuinely care about our business and work both for us and with us to better their product. Cons: There is no iPad application or functionality currently available. Recommendations to other buyers: Dollar for dollar, you will not find a better value. Pros: I really like the ease of use. Cons: When searching for a customer, there are many different things you have to try sometimes to find the correct account. Recommendations to other buyers: I would recommend thinking of when you have had your most challenging time with RQ and how easily it was resolved. I use this service for reconciliation purposes. Pros: It saves the recent reports you have opened and makes it easy to get to the reports I use daily. Cons: The software has frozen from time to time or loads slowly. Recommendations to other buyers: I would recommend making sure that you are aware of the product's full capability. I have used RQ4 on a daily basis for two years. Pros: RQ4 offers almost everything that I need. Cons: When updates are performed, it would be helpful if they provided a list of what updates were performed and how that will affect daily use. 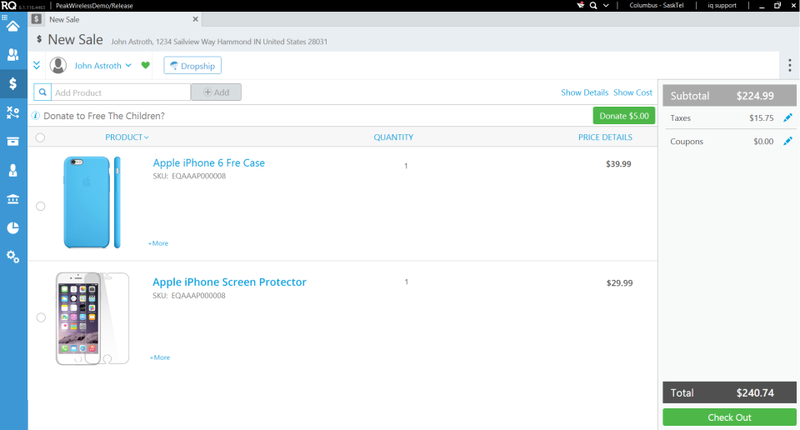 Recommendations to other buyers: I would encourage the ability to add custom reports. Pros: It's easy to teach the basic programs to new people. Cons: BI programs are the most frustrating to set up and use. Recommendations to other buyers: Follow up with the representatives with any questions you may have. Working on your own creates more challenges. Pros: They are a fun, innovative company. Cons: Updates are slow. It seems like there are updates very often, and they are slow to load. Recommendations to other buyers: It would be nice to have a system that didn't freeze up or be down so often. Pros: The navigation is easy, and we're familiar with the product. Cons: There are a few bugs and glitches that slow the process down a bit. Recommendations to other buyers: Go through all tabs and info to get an understanding on what it can do. Pros: It is an easy application to use and has endless options for use. Cons: It can be a little slow at times, but overall, I have no problems. Recommendations to other buyers: Make sure to test it in all the ways you plan to use it. Pros: My favorite aspect of this product was the ability to personalize my workspace. The interface was also extremely easy to use. Cons: There is nothing I would change about this product. In my eyes, it fits all of my business needs. Recommendations to other buyers: I currently use myRQ and I recommend it to everyone. It is so easy to access, it is quick, easy to use and the interface is very sleek. Comments: There is so much to learn in RQ. I'm thankful for their great customer service. They always have a solution. Comments: RQ is always shutting down, needs faster internet speeds to perform better.